Hidden Meth in Mexican Pottery	"
Deep in the trailer parks of Auburndale, Florida, what appeared to be a quaint mobile home turned out to be an artistic drug den. 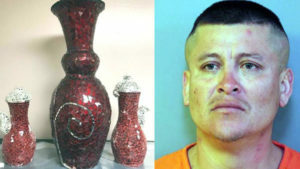 Omar Palencia, a 30-year-old undocumented immigrant, fancied himself a collector of fine Mexican pottery–valued at nearly $600,000. But it was the methamphetamine in the glue under the mosaic tiles that made these pieces invaluable. 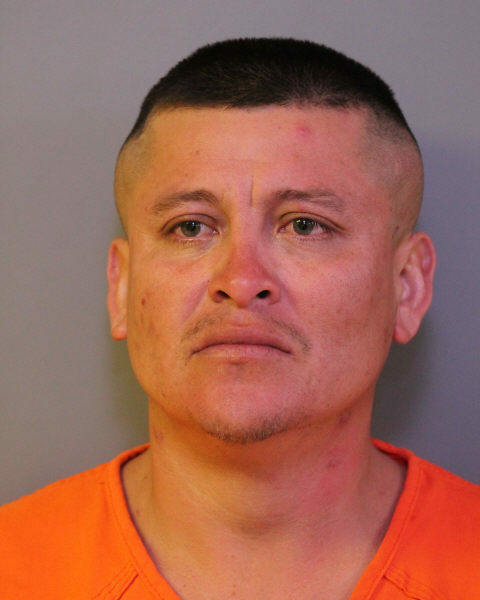 In his efforts to make the most of his investment, Palencia ironically employed the help of an undercover agent to extract the meth from the glue. Upon discovering his intentions, the Polk County Sheriff’s Office took on the case. The vases were shipped to Palencia from Mexico, where they were dipped in liquid meth and covered in shards of colored glass to mimic the appearance of mosaic tiles. In a strange Breaking Bad knock-off, Palencia planned to extract the meth from the glue and sell all 10 kilograms of it. Palencia alleges that the meth was for his personal consumption but the amount of the drug totaled 101 grams. He must have one heck of an addiction to use that much!